I hope this one lasts more than just a day. I think it’s a great UI idea, right? Who doesn’t love 3D when they are listening to music? I’m just bummed out that I did not bring my 3D glasses to work today because it was a Friday. 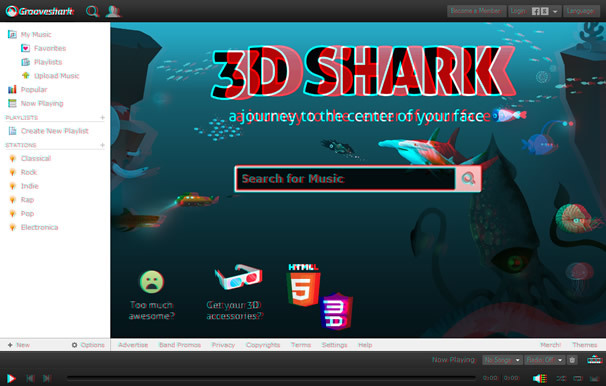 Grooveshark’s 3D Shark : a journey to the center of your face.